And after a 19-hour stint this page is bowing out on the Mamadou Sakho signing. 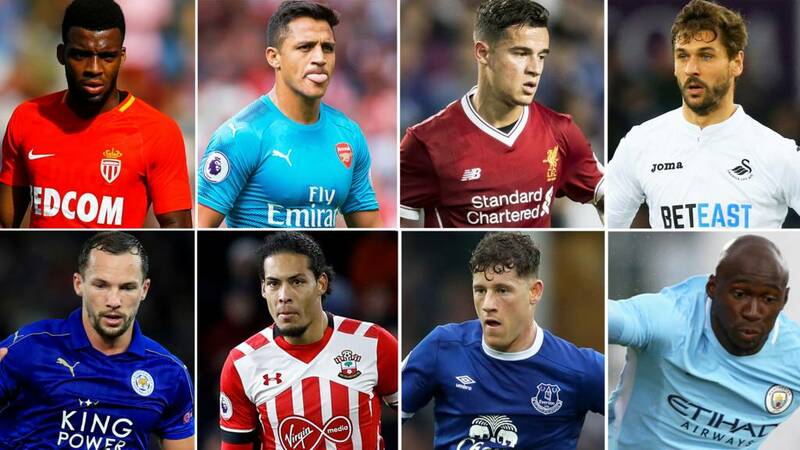 If you've missed anything - check out all the completed deals here. I think that signing was held up as they had to do post production on the announcement tweet. Mamadou Sakho has joined Crystal Palace. Who knows what has happened to Mamadou Sakho. I'm going to stick this out until 02:00 UK time though. The fee to sign Danny Drinkwater is around £35m, while the move to bring his replacement Adrien Silva to the club will go through on Friday. Chelsea signed Ngolo Kante for a fee in the region of £30m last summer, and have now paid more than that for Danny Drinkwater. Who is the happiest set of fans from this deal? SMS Message: As a Newcastle fan I'd like to point out two positives. 1) we've not sold our best player on deadline day. (Arfa, Caroll, Cabaye, Sissoko eg). 2) maybe with the inflated prices Ashley might realise he's out of his depth and sell. from Jack, York. As a Newcastle fan I'd like to point out two positives. 1) we've not sold our best player on deadline day. (Arfa, Caroll, Cabaye, Sissoko eg). 2) maybe with the inflated prices Ashley might realise he's out of his depth and sell. Paris St-Germain have signed Kylian Mbappe on a season-long loan from Monaco, with an option to make the deal permanent for a fee of £165.7m. Should PSG sign the France international on a permanent deal, his contract will run until June 2022. Any deal for the 18-year-old is likely to be eclipsed only by the 222m euros (£200m) PSG paid for Neymar. "I really wanted to be a part of the club's project, which is one of the most ambitious in Europe," said Mbappe. The delay in signing Mbappe permanently is reported to be so PSG can comply with Uefa's Financial Fair Play rules. The teenager scored his first goal for France in their 4-0 win over the Netherlands in World Cup qualifying on Thursday to become his country's youngest goalscorer since 1963. George Williams: At this rate Danny Drinkwaters still going to be having a medical when Chelsea go to the King Power on the 9th. "Albion applied for an extension until 1am, that was granted but Vincent Janssen couldn't be tempted away from Spurs. The Seagulls came close with an agreement for Florin Andone at Deportivo La Coruna but that deal and a bid for Fiorentina's Khouma Babacar also came to nothing. Even Barnet have gone home now. Thoughts on Burnley's transfer window? Really not sure they have done enough. Strong squad but still some gaps- despite the promising start to the season. Still with you awaiting Drinkwater anxiously, on Eurotunnel from Calais to Folkestone! Wilfried Bony. Wearing number two. A low point.